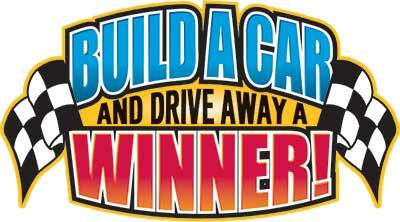 Specialty House of Creation - Build A Car & Drive Away A Winner! Can be delivered within 4 weeks! Are your Players getting bored with the same old Car drawings? This is a GREAT add-on program to generate more excitement and interest for your Players! Players earn points on their Player’s Club card. When achieving the determined number of points, the Player is allowed to choose a game piece. The game piece/car part they choose is documented in the Player tracking memos and marked off on their official game card. They then fill out the drawing info on the back of the game piece and deposit it in the drawing box. Game pieces can also be used for slow days, new Player's Club sign-up, hotel stays, etc. USE your imagination to fully use all aspects of your Casino! 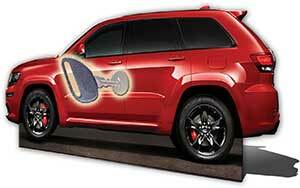 All Players that earn a chance to Win The Car will select a Key and try to unlock the Key Box. 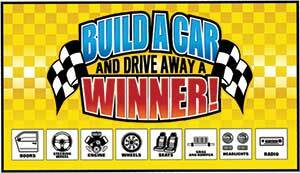 Way 1- Collect all 8 game pieces to build a car (8 possible builds). Way 3- Pick an Instant Winner (2 possible). Way 4- Each game piece is entered into the 2nd chance drawing. 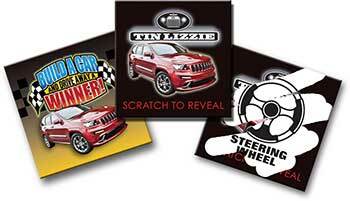 2nd chance drawings to have a total of 15 Players to select a Key and try to Win The Car. 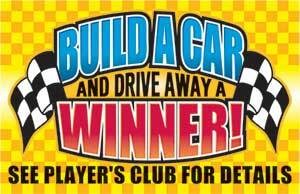 In addition to collecting car parts, a Player may find a Gas Cash winner. 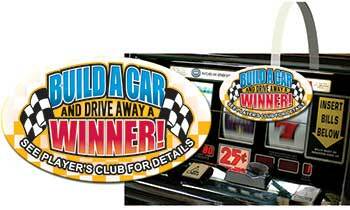 Gas Cash winners then choose from a different set of scratch-off tickets to receive a Free Play or Cash prize. You determine the amounts - $5, $10, $25, $100, or even, $1,000 (Gas for a Year!). Full size standup with key box. 4' BY 8' replica of the actual car being given away to surround the Key Box!